You don’t have to sacrifice screen time to get in great shape. If you’re trying to squeeze in a weekly workout, but you don’t want to miss your favourite show, try these exercises on for size. Here are six moves you can do at home while watching TV or Netflix, no equipment needed. All you need is a little floor space. Start on your hands and knees, facing the TV while your favorite show is on. Bring your left foot forward until it is under your chest and you knee is tucked up against you, keeping your hands on the floor and your core tight. At the same time, extend your right leg out straight behind you. Then jump and switch the position of your legs. Do 10-12 repetitions for one set. Start in a low squat position with both hands on the floor. Kick your feet back into a pushup position, and do one pushup. Then immediately return to the starting position, and leap as high as possible into the air and back down into the start position. Repeat as rapidly as possible 10 times for one set. This is an easy workout that will let you focus on your TV show. Start in the pushup position, then lower yourself down onto your elbows, with your forearms on the floor and your hands clasped. Keep your back straight and your core tight, then hold the position for 30 seconds or as long as you can. Start with your hands on your hips and your feet hip width apart. Step forward with your right foot and lower yourself down until your right thigh is parallel to the floor both knees are forming a 90 degree angle. Return to the starting position, then repeat with your left side. Repeat 10-12 times for one set. You’ll have to stand for this one, but it’s another quiet exercise that will let you watch your show without distractions. 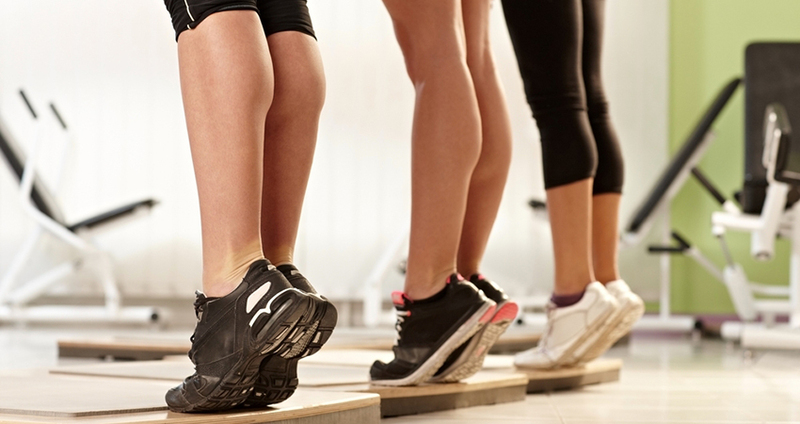 Start by standing with your feet close together, then raise up on your toes with your knees straight. Hold the position for a beat, then come back down. Repeat 10 times for one set. Lie face down, preferably on a mat, with your arms and legs extended in front and behind you. Keep your torso in place, and raise all your arms and legs into the air at the same time. Hold the position for as long as possible, then lower back down to the start position.